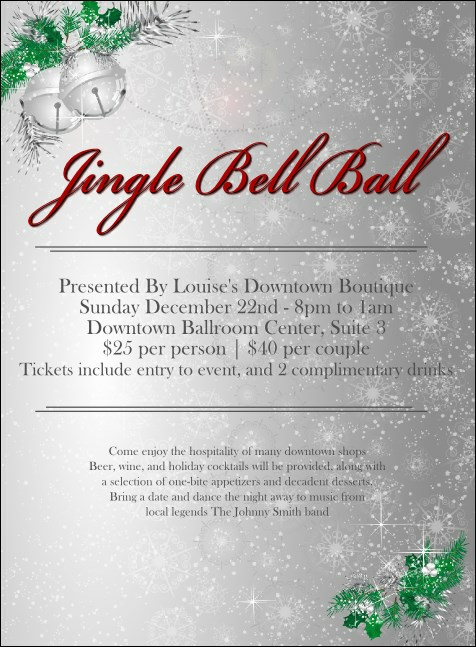 Stand out in the holiday mail rush and send the professionally-designed Jingle Bells Invitation. A soft silver background holds delicate snowflakes framing your event details. Bright bursts of holly surround bells in the corners. Invite everyone who needs a little holiday spirit. Make it a match with an event kit, with coordinating tickets and fliers from TicketPrinting.com.